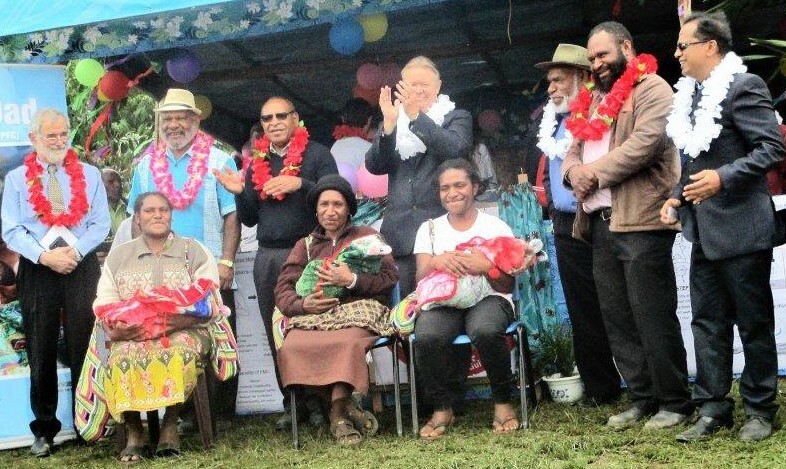 Mothers and newborn babies in Western Highlands Province will greatly benefit from a new maternal and newborn care program launched in Mt Hagen recently. Initiated by UNICEF, the program focuses on preventing and managing bleeding after delivery, a common cause of death in mothers and neonatal hypothermia (low body temperature) in newborn babies. The program – “Saving Lives, Spreading Smiles” – will ensure up to 30,000-plus babies born in the province over the next three years receive a comprehensive package of care to ensure they survive. The package of care involves the prevention and management of bleeding after delivery through the use of a Non-Pneumatic Anti-Shock Garment (NASG) for mothers while a hypothermia alert device known locally as the Bebi Kol Kilok will be used to prevent and manage neonatal hypothermia for the babies. Western Highlands is the first province in the country to have the program launched with funding support of K2 million from UNICEF Australia. The funding assistance will also cover the cost of setting up a world standard neonatal intensive care unit in the province. The K2 million funding assistance by UNICEF has been supported by the Australian Government with another K9 million to expand the program to the rest of the country. 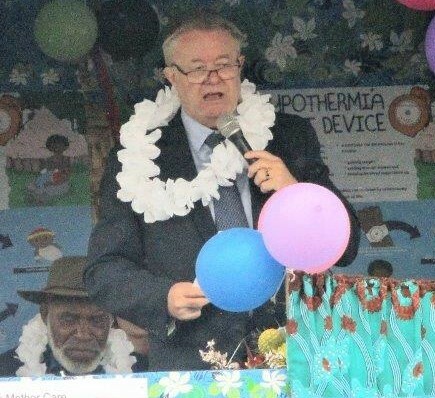 The Mt Hagen project was officially launched on 19th September 2018 by UNICEF Country Representative, Mr David McLoughlin and the Western Highlands Deputy Governor, Mr Michael Mai. It was witnessed by officials from the World Health Organisation, National Department of Health, UNICEF, Department of Western Highlands and the Provincial Health Authority. Mr McLoughlin said the new package of care promoted simple cost-effective life-saving practices that were so crucial for mothers and newborns to survive. “We thank the Australian Government and UNICEF Australia for their support which will help us to implement this program throughout the country”, he said. Deputy Chairman of the WHPHA Board, Mr Michael Pundia said the staff of the Provincial Health Authority had been working hard to reduce maternal and child morbidity and mortality and paediatric case mortality rates were now nearly a third lower than the national average. “This shows how the Provincial Health Authority Reform can have a major impact on the health of our people. It is also a reflection of the commitment and dedication of all of our staff including our hardworking understaffed doctors and nurses. “This innovative program being launched today will see a further improvement in those key indicators and more mothers and babies will survive”, Mr Pundia said. 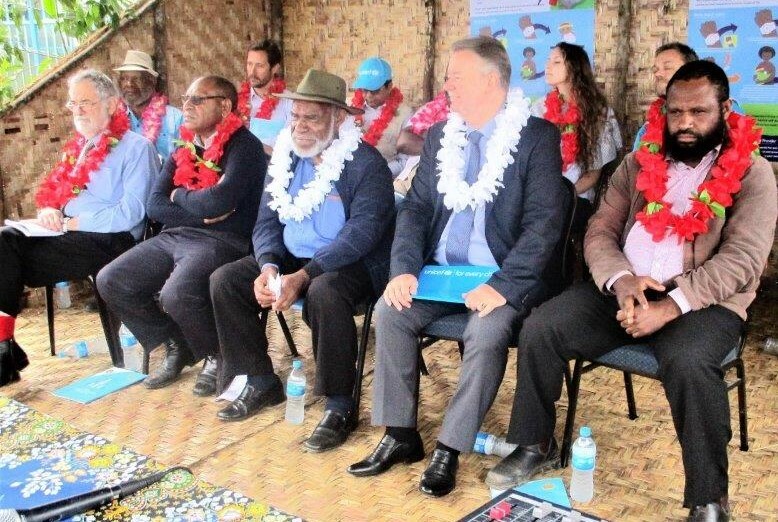 Western Highlands Deputy Governor, Michael Mai said his province was honoured and privileged to receive such support from international partners such as UNICEF and the Australian Department of Foreign Affairs and Trade. “This is a blessing for Western Highlands, especially for our mothers and babies. I thank the leadership of the Western Highlands Provincial Health Authority for displaying strong commitment in leadership which has attracted the support of the international partners. “Everything falls down to leadership and WHPHA has good and strong leadership that has attracted donors to invest in the health of our people and I thank you all”, he said. 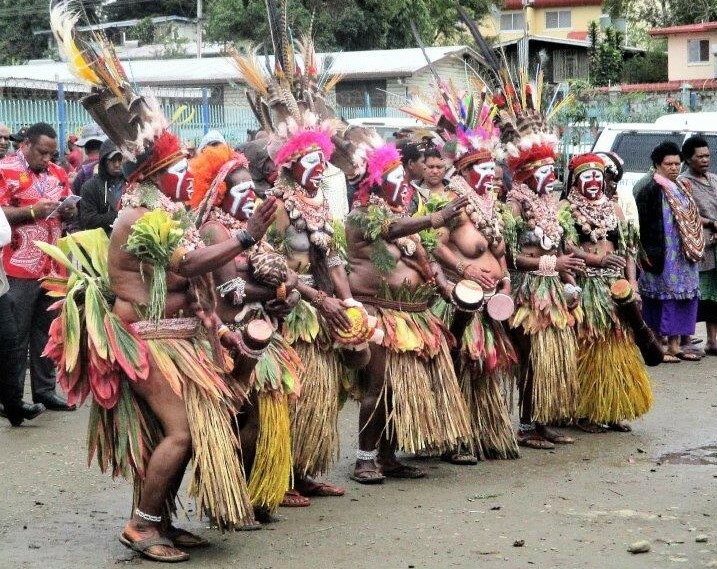 Mr Mai said through good leadership, the WHPHA had recently opened the refurbished Emergency Department at Mt Hagen Hospital and later launched the polio vaccination exercise in the province where 92 percent of children under 5 years had been vaccinated. He said these initiatives together with the launching of the “Saving Lives, Spreading Smiles” project had reflected strong leadership of the organisation and assured the international partners that his government would work closely with all agencies to ensure all these programs were implemented successfully. UNICEF Country Representative, David McLoughlin addressing the crowd. Officials seated for the official launch. Three mothers trying out the Bebi Kol Kilok on their babies, watched by officials.